I love your pumpkins. Those are the cutest I've seen!!! I would have copied that too! ADORABLE! I am always up for a little glue gun action! brilliantly simple!!! I love them. like all the other comments... SImply adorable!!! love it!!! Love it! Who'da thunk it? Too cute! I like the pumpkins not painted! CUTE! I just bought the rickrack to try this yesterday! Glad to hear it's easy! I love it w/ the orange! Okay, blog stalker...I just wanted to say how excited I am to find your blog & I have a little something on mine for you when you have a second to pop on over. Ok, this is one idea I am totally going to steal...I mean borrow! Love 'em! LOVE this sassy lady! You are a master with the hot glue gun! I need to find mine...hmmmm. Very, very cute. 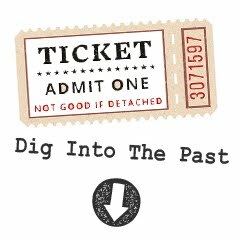 I'm really enjoying your blog (and your archives). Cute, CUTE....great job! I am getting weird comment pages and/or not even being able to leave comments on some people's blogs....what is GOING ON!?!? We were talking about you at playgroup today!! The mom hosting said she had just seen the cutest idea with pumpkins and ric rac. I immediately knew it was you!! Simply adorable!!!! so cute. you do the cutest things! How adorable! 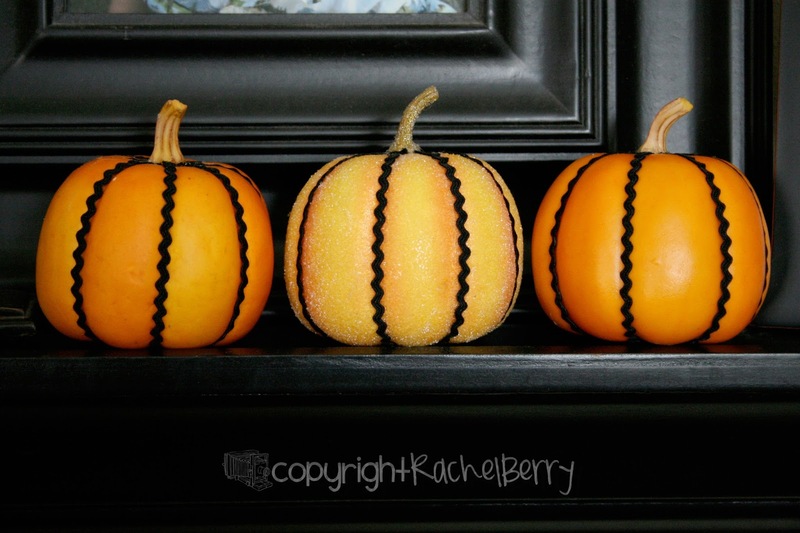 I love all these great ideas to do with your pumpkins. I just found your blog and I love your photography. I noticed your last name is Berry. That was my maiden name! I don't see that very often. Those pumpkins are so adorable! What a great idea. I made your meatloaf the other day and I linked to it on my blog today. It was FABULOUS!!! That's adorable! What a good idea! I love your pictures! I was wondering if you could tell me what you do to make your photos pop? Let me just say that you under estimate yourself... you are not just a photographer wanna be! Well how-w-w-w cute ! Great simple ideal. Your blog is so stinkin' cute! I don't know what I'm doing on mine! lol. Your kids are so adorable! I want to just squeeze em! Are those real pumpkins? I'm guessing no. . .as the middle one is shimmery. . .but how stinkin' cute is that? Ideas are abounding now. . . .this idea could really get a whole splurge of ideas spawning from it. . . different colored ric rac. . .different colored pumpkins with contrasting ric rac.. . . different colored panels on the pumpkin & the same colored ric rac for the entire pumpking. . . oh boy. . .again, why do I need to sleep? eat??? Oh what a cute idea~ Enjoyed visitng your blog. Are these the pumpkins you're going to sell at the patch? I was looking to see if you had them there on saturday. Very cute! I love the idea of cuting up pumpkins!